In recent years Southern New England has experienced its share of region wide major weather events. 2011 alone had several events that would be clear cut number 1's in most years (January snows, June tornado, Hurricane Irene, the October Snow). 2012 was a bit more calm but it still featured a record warm March and Hurricane Sandy. 2013 will be remembered for The February Blizzard and the awful heat/humidity/rain of June and July. 2014 had a lot of weather but it lacked that one big event that impacted everyone like the events mentioned above. That is not to say mother nature spared the region; numerous storms caused damage and hardships. For residents of Northern New England this event would rate higher on the list. Hundreds of thousands of residents lost power for days as heavy wet snow sent tree limbs and power lines crumbling to the ground. In Southern New England 1-3 inches of rain fell across SE MA/RI/CT. 1-3 inches of snow fell in Southern Worcester County and areas north and west of Hartford. Heavier snows fell in Northern Worcester County, NW CT and Western MA. The largest impacts from this event were travel headaches and the postponement of many High School football Thanksgiving Day games. The timing of the storm puts it on the list; it was otherwise largely forgettable for Southern New England. A pair of Tornadoes caught the region off guard in late summer. 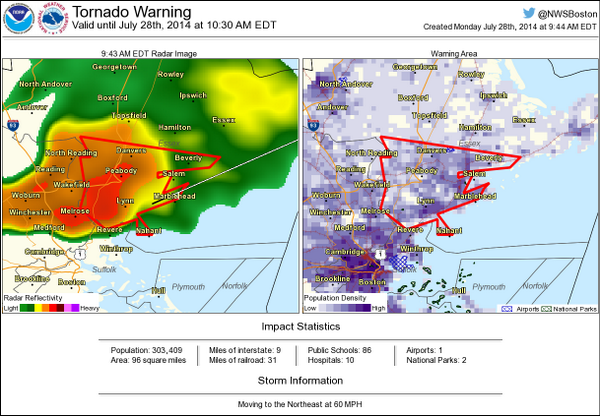 The stronger of the two, the Revere tornado hit on July 28 and was rated as EF-2 with winds of 100-120 MPH. 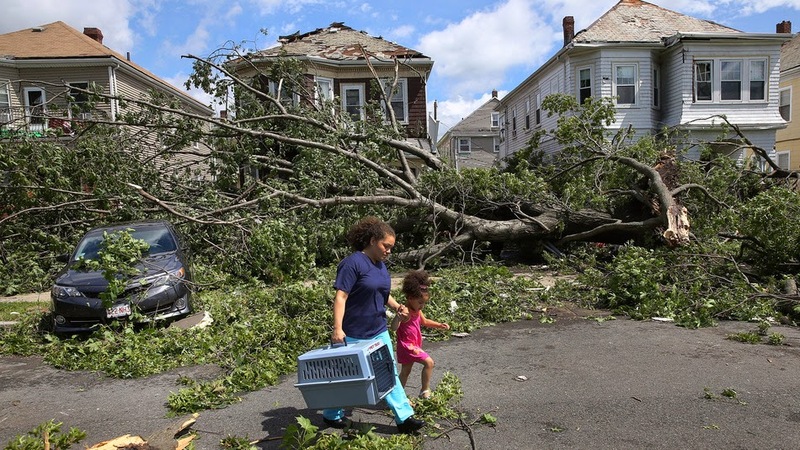 Damage was significant in the center of Revere and it is estimated the tornado was on the ground for 2 miles. 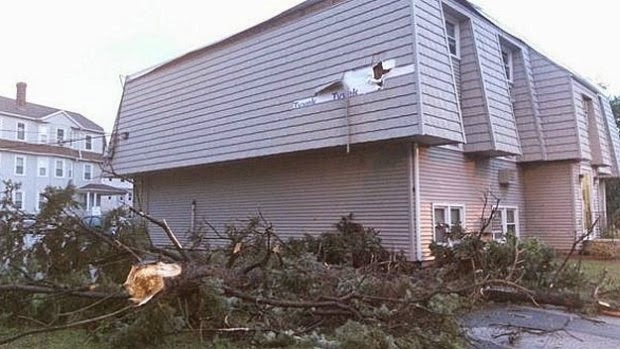 According to the National Weather Service this was the first recorded tornado in Suffolk County since records began in 1950. Despite the damage no one was killed or hurt which keeps this ranked at number 4. The Worcester tornado was slightly weaker but did hit the night before Labor Day. It was rated EF-0 and touched down just north of Route 146 and near I-290. The storm tracked near Saint Vincent's hospital. To read the NWS public information summary find Revere here and Worcester here. 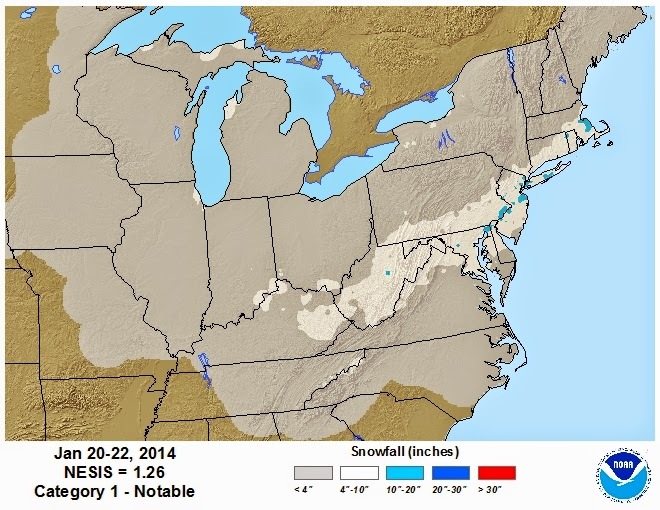 There were several snow events in January 2014 that combined with bitter cold to slap SNE into the New Year. There were two major events. The first occurred on Jan 2/3 2014. 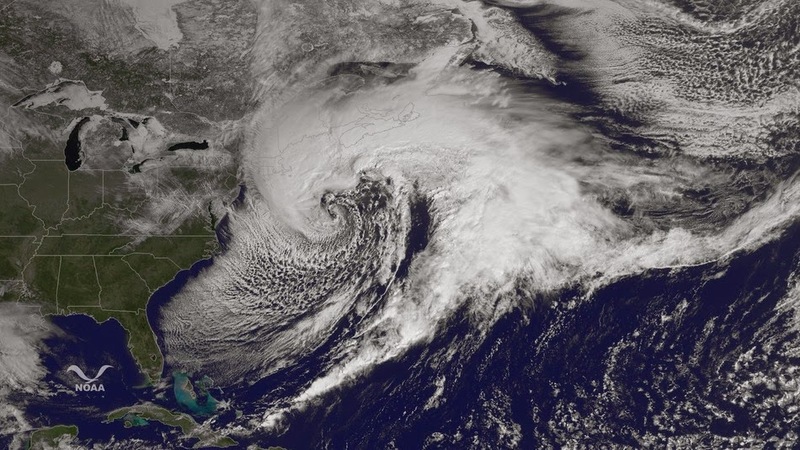 This storm hit the Cape and Islands and the North Shore hard. Boston even saw 17.1 inches of snow. Find the whole report here. The unique part of this storm was the cold temperatures that followed. Temperatures were in the single digits throughout most of this storm. The next big storm occurred January 21/22. This storm hit the South Shore hardest with 1.5 feet of snow. Find complete snow reports here. Snow/wind reports can be found here. A fire broke out in Boston's Back Bay during the afternoon. The strong winds helped to spread this fire rapidly and tragically two Boston Fire Fighters were killed. RIP to Edward Walsh and Michael Kennedy. 18 others were hurt in this fire. A rare early season east coast Hurricane threatened Southern New England after making landfall in North Carolina on July 3rd. The storm ultimately stayed offshore but Southern New England paid the price for this in the form of a severe weather outbreak. The combination of tropical air streaming north interacting with cooler continental air from Canada allowed for a vicious squall line to form Thursday evening. Click here for detailed damage reports. This slow moving front allowed Arthur to track offshore, but still wouldn't spare the region completely. The interaction with the cold front allowed for heavy flooding rains to fall across SNE. The nearly stationary boundary over South Coastal MA acted like a rain/snow line. Extremely heavy rain fell just west of it in the Fall River/New Bedford areas. All in all nearly 7 inches of rain fell across SE MA. Thankfully damage was minor despite wind gusts to over 60 mph on Nantucket. So while I have surely missed something, these are my top 5 weather memories of 2014. Here is my 2012 list. Thoughts? Tweet me, comment, or leave a facebook comment.